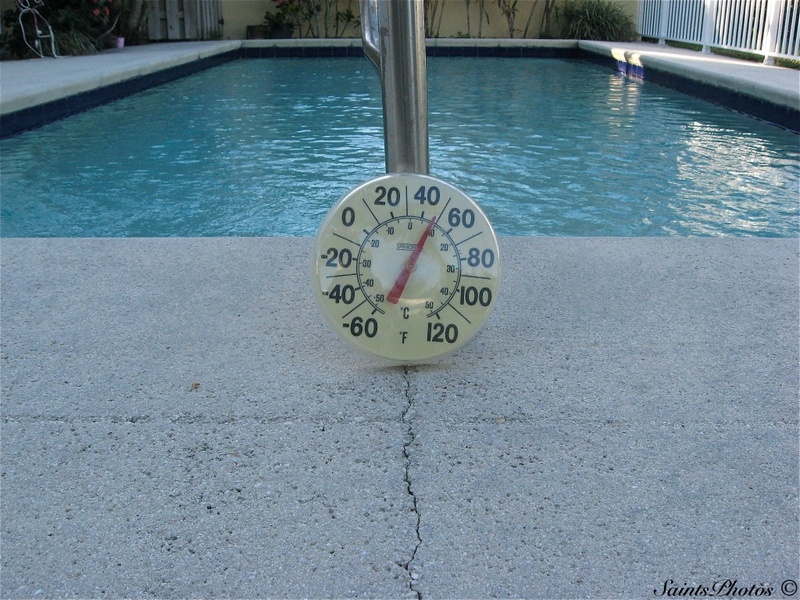 Tags deck, pool, cold, termometer, 44deg.f. That's alot warmer than here in Michigan!! Great photo. @kerristephens @karenann Brrrrr! , Moved here in 1991, and it' NEVER been this cold! Thanks for the comments. Here in Central Florida, it was 10 degrees cooler. Used our fireplace for the 1st time this season. Actually turned out to be a beautiful sunny day despite the chill. Cool shot! hey, at least there isn't any ice on your pool! @ronnoconad Thanks Dan, your right... But for us , it's COLD!!! @stcyr1up - Part of my ouch is because of our freezing temps! Although today was quite balmy...it was in the mid-30s. @stcyr1up - Got it! LOL!